Although distracted driving is increasingly becoming a significant problem in St. Thomas and elsewhere in Ontario, impaired driving continues to be our highways’ number one killer. In spite of all the efforts by law enforcement, the warnings and the education, people continue to drive motor vehicles after having consumed illegal quantities of alcohol or having taken illegal drugs or both. In addition, many people are taking more prescription medication than ever; when these drugs are combined with just a single glass of alcohol, it makes for a potentially deadly combination. Individuals in St. Thomas who have suffered the loss of a loved one due to the recklessness and negligence of an alcohol or drug-impaired driver understandably have a particular concern in preventing anyone 'under the influence' from getting behind the wheel. If you or a family member was hurt or killed in a collision due to the negligence of an impaired driver, contact the St. Thomas Personal Injury Lawyers of Ontario (ILO) office to consult on your rights and the next steps to take in making your claim for fair compensation. One organization at the forefront in the fight against impaired driving is MADD Canada. Their web site http://www.madd.ca, has a collection of information related to analyzing and advocating against impaired driving. As of 2010, the most recent year in which statistics are available, an estimated 2500 people were killed in motor vehicle accidents in Canada and of those killed, almost half were impairment-related fatalities. These figures involve alcohol-related incidents and do not take into consideration the increase in drug usage that has occurred in the past few decades. The above MADD numbers also do not include those who were killed on Canadian lakes and rivers, where it is estimated that up to 100 people per year die from alcohol and drug-related boating and swimming fatalities. Nor do the figures include drug and alcohol related deaths involving other methods of transportation or job-related fatalities. All told, MADD estimates that up to 1500 people per year die in Canada in impairment-related accidents. In addition to impairment-related deaths, MADD estimates that approximately 60,000 people were injured in impairment-related motor vehicle crashes in 2010, involving over 200,000 motor vehicles and causing over $10 billion in property damages. Given these staggering numbers, Ontario's impaired driving laws are worth reviewing, as are the penalties for violating them. If you are convicted of impaired driving, you could be facing fines, driving restrictions and time in jail. Canada's territories and provinces have authority over its highways and the drivers to whom they grant licenses and are responsible for enforcing federal impaired driving laws. License suspensions for young drivers in Ontario start at .05 blood alcohol concentration (BAC) and further penalties include alcohol ignition devices, vehicle confiscation and other programs. For more details, visit this Mad Canada site which summarizes both Federal and Provincial Impaired Driving laws. The penalties for being convicted of impaired driving in Ontario are severe, especially if you are a repeat offender. First time offenders convicted of simple driving while impaired, having a BAC greater than .08. or failing to submit to a breath test, face fines of up to $2000, 18 months in jail, and up to 5 years of being prohibited from driving. Penalties for being convicted of impaired driving where bodily harm has been inflicted upon another person carry with it for a first time offender, a $1,000 fine and a 1-year driving prohibition. For second offenses, a person can receive a 30-day sentence and a 2-year driving prohibition. Third and subsequent offenses will land you a 120-day sentence and a 3-year driving prohibition at a minimum. Higher fines and longer jail time apply for repeat offenders or if you were driving impaired during the commission of a felony. The courts have significant leeway to level punishment appropriate to the scope of the vehicular crime that is committed, and the number of repeat offenses in impaired driving cases. Even with the strict penalties that are applied if you are convicted of Impaired Driving, Federal and Provincial efforts to mitigate the problem of Impaired Driving have not been as effective as desired and stricter policing of the nation's highways has been deemed necessary. MADD is advocating for a new measure that they feel will save hundreds, maybe thousands of lives per year. That measure is random roadside breath screening in an effort to detect impaired drivers and to get them off the road. Where these random stationary checkpoints are established, every driver would be required to stop and submit to a breath test. Drivers would remain in their cars and the delays would be minimal. MADD advises that random breath testing is the most effective means of correcting and deterring impaired driving. Measures like these have been adopted in other countries and have reduced impaired driving related motor vehicle crashes and fatalities. Under existing law, police cannot demand a breath test unless they have reasonable grounds to suspect that the driver has been drinking and as a result, the majority of legally drunk drivers go undetected. While few people want a more controlling level of police law enforcement in our lives, it appears that random impairment screening at fixed check points may be in St. Thomas Canada's near future. 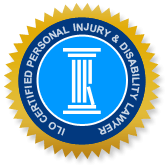 If you have been injured or lost a loved one due to the recklessness or negligence of an impaired driver, you need to seek the counsel of an experienced and passionate personal injury lawyer in your community at the Personal Injury Lawyers of Ontario (ILO) law office. When impaired driving is involved, there are many aspects of a personal injury or a wrongful death case that are extremely complicated and overwhelming for members of the public, particularly when they are already dealing with a trauma. The senseless loss of a loved one requires that you avail yourself the full extent of the law. Family members deserve and need significant compensation when their lives have been catastophically impacted, whether by the loss of the family provider, a child, spouse or parent. A skilled and experienced lawyer will take charge of the gathering of evidence and the many legalities involved in your claim and make sure that you receive the maximum compensation to which you are entitled. We are ready, willing and able to handle your impaired driving personal injury or wrongful death case from beginning to end. Call us for a free initial consultation.